MiFID II is already more than two months old, but while Systematic Internalisers (SIs) and Approved Publication Arrangements (APAs) create a framework to improve transparency, firms need the right technology to navigate the post January 3rd marketplace. Two months on from the implementation of the second Markets in Financial Instruments Directive (MiFID II), it seems a good time to pause and take stock of the new regime. This was one of the most fundamental changes to the European market structure in years, so reviewing how it is working will be key to its long-term success and will no doubt influence any form of MiFID III. Making financial markets more transparent and efficient lies at the heart of MiFID II. The regime for SIs, for example, shines a light on those firms that deal on their own account when executing client orders outside regulated markets, while the APAs provide a mechanism through which key transaction information is made available to the public. However, the journey here hasn’t been an easy one. 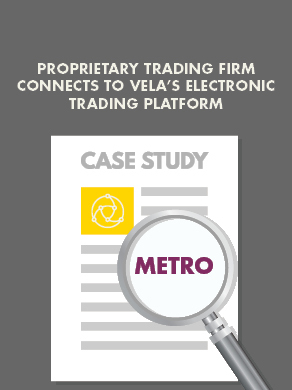 Here at Vela, long before the implementation of MiFID II, we have dealt with countless exchange-driven changes (EDCs) to market data feeds and execution gateways. This has continued through MiFID II, as venues updated their protocols to be “MiFID II compliant”, culminating in the review and implementation of over 120 EDCs. Whilst the advent of the MiFID II regime has certainly reduced the influx, it hasn’t marked the end of this process. Changes are still inbound, in particular due to regulated markets rolling out new offerings to protect and grow their liquidity pools. In Q1 so far, we have appraised over 43 additional EDCs. These changes coupled with the rise of SIs and APAs provide a steady book of work for clients to keep up with. SIs and APAs are reasonably straightforward concepts, but they represent a step change for market participants that have not always been accustomed to such rigorous levels of transparency in the past. Publishing transaction details on an APA within less than 15 minutes of execution, for example, as required for non-equity instruments, is a considerable burden for SIs and dark pools that had never previously been required to publish trade data in this way. It is still too early to say which will be the SIs and APAs that stand the test of time, or indeed which will be most popular in the long term, but a register maintained by the European Securities and Markets Authority holds details of six APA operators and 54 SIs at the time of writing. This new breed of platforms brings with it a large and growing volume of market data that, as well as being integral to regulatory compliance, may realise additional business benefits. Knowing more about the trades that are being internalised by some of Europe’s largest brokers, for example, should now be easier as SIs are obliged to seek authorisation and publish trade reports to an APA. Equipped with this information, buy-side firms should be able to make more informed decisions on their execution strategy and counterparty choices. Simply changing how data is being reported however, does not necessarily mean market transparency is automatically improved. The variety of market data protocols and models across Europe is already vast and set to be exacerbated as SIs choose their own dissemination methods and data models. Infrastructure, connectivity, hardware and feed handlers all need to be configured to process market data quickly and effectively. Similarly, SIs need orders to be routed to them in a format of their choosing, meaning that firms need appropriate market access gateways to do this. Although SIs are relatively simple from a technical perspective, their infancy poses a separate set of challenges. It still remains to be seen how quickly these systems will mature technically and begin to implement new features that require software changes. Firms will undoubtedly take different approaches to accessing this new breed in market structure. Some will be more proactive in realising new business benefits whereas others may take a more reactive, compliance-based stance. Both approaches come with their own set of challenges and require the right technology stack to ensure success. At Vela, we have extensive experience in supporting new venues, covering all sides from platform connectivity to data distribution. Our execution gateways support access to a wide range of asset classes and liquidity venues, while our ticker plant software normalises market data from more than 200 markets via a single API. Whichever approach our clients take, Vela will continue to provide technology and services to enable them to achieve their goals, as their strategies grow and evolve under the new market structure.